The results indicated that Tyler Hilinski had the brain of a 65-year-old, with signs of extensive brain damage known as chronic traumatic encephalopathy, or CTE, which has been found in hundreds of former NFL players. The parents of Washington State quarterback Tyler Hilinski revealed Tuesday morning in a Sports Illustrated story by Greg Bishop, and on NBC’s Today Show that evidence of Chronic Traumatic Encephalopathy was found in Hilinski’s brain after his death. CTE is a degenerative brain disease that is caused by excessive hits to the head. It was been found in the brains of many former NFL players, including Andre Waters, Junior Seau, and Rob Kelly. A study published last year in the Journal of the American Medical Association found CTE in the brains of 99 percent of NFL players and 91 percent of college football players who had been examined. Hilinski, 21, was found dead in his apartment in Pullman on Jan. 16 with a gunshot wound to the head and a suicide note next to him. Mark and Kym Hilinski, Tyler’s parents, told Sports Illustrated and NBC that the Mayo Clinic approached them after Tyler’s death wanting to do an autopsy on his brain. The Hilinskis consented and said they were stunned when the results came back positive for CTE. “It was a shock to get those results and find out he had it and to realize that the sport he loved may have contributed to that diagnosis,” Kym Hilinski said. In a phone interview with The Seattle Times Tuesday evening, Kym Hilinski said the family got Tyler’s diagnosis from the Mayo Clinic in mid-March, and took a few weeks to do their research and process what they’d learned before they decided to go public with the revelation. CTE can be detected only post-mortem, but symptoms have been known to include depression, emotional instability, impulsive behavior and suicidal thoughts. 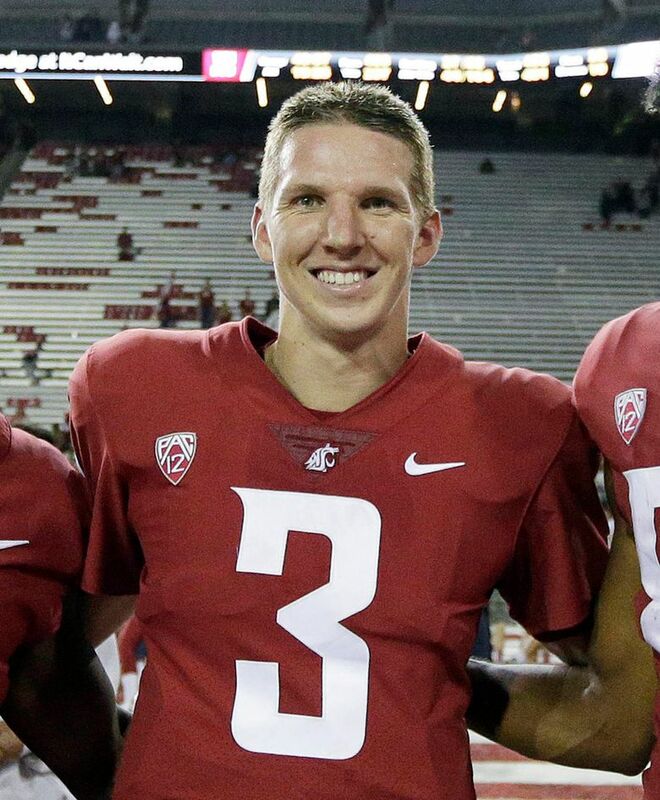 Pullman Police said they found Tyler Hilinski in his apartment with a .223 caliber rifle. Per the Sports Illustrated story that was published Tuesday, Tyler used a gun for the first time the day before he died. He went out to shoot at clay pigeons with several teammates, and they cheered him on even though he didn’t hit one. The Sports Illustrated story pieced together everything that happened in the hours leading up to Tyler’s death. The quarterback played Fortnite with his brothers and teammates for six hours the evening before he died. He woke early the morning of his death and texted his wide receivers to remind them of a workout scheduled for 3 p.m.
At 10:25 a.m., he texted his high-school sweetheart, Sophie Engle, and said, “I’m sorry for everything.” According to Sports Illustrated, he then told his older brother Kelly that he wanted to play Fortnite again later. But when Kelly called later that morning, Tyler said he was in class. Kelly told Tyler he loved him. Tyler was moving into a new apartment that day. He dropped off defensive lineman Nick Begg at class at around 11 a.m., and that was the last time anyone heard from him. Tyler uncharacteristically missed a team workout that afternoon, and that’s when people began to worry. WSU director of football operations Antonio Huffman asked Begg and linebacker Peyton Pelluer — Tyler’s roommates — to search for him, and the Cougars called hospitals and the police, asking the police to put out an APB. Begg and Pelluer finally found Tyler’s car in the back lot of his old apartment complex. They kicked the door in and found Tyler. Per Sports Illustrated, the Whitman County medical examiner’s toxicology examination found no traces of alcohol or drugs in Tyler’s blood. The Mayo Clinic found that Tyler had Stage 1 CTE — the lowest level. CTE is caused by multiple sub-concussive blows to the head. Looking back, his parents tried to think of instances in which Tyler might have suffered any sort of head trauma. They recalled that he played linebacker before high school, but Kym said Tuesday that he never sustained any concussions she knew of. The Sports Illustrated piece mentioned Tyler might have suffered a concussion as a college freshman, but Kym says there were never any other instances that stood out as red flags for most of Tyler’s college career. The family started to look at the 2017 WSU-Arizona game as a turning point. Tyler came off the bench to replace Luke Falk in the second quarter, when the Cougars were down 20-7. But he couldn’t replicate the comeback magic he’d orchestrated earlier in the season, when he came off the bench to lead WSU to a triple-overtime win against Boise State. The Hilinskis told Sports Illustrated that Tyler was distressed after the Arizona loss, and that he told his older brother, Kelly, that he’d sustained a hit that “rocked” him. The family noticed some changes in Tyler after that loss to Arizona. He was less responsive to their calls and texts for the rest of the season, but they chalked it up to his being busy with football and school. “The reality is that we missed it, and we let him down,” Mark Hilinski told Sports Illustrated. Tyler seemed his happy old self during a family vacation to Mexico in January just days before his death. But when he returned to WSU, the unresponsiveness resumed, the family told Sports Illustrated. On the afternoon of Jan. 16, Kym texted Tyler saying, “Tyler, please call me.” That night, she got the call from Huffman informing her of his passing. 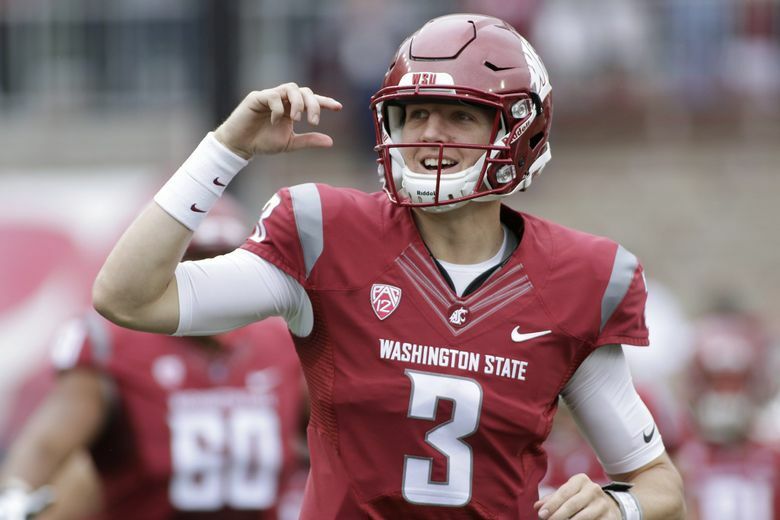 Tyler would have been a redshirt junior in 2018, and he entered the offseason as WSU’s most likely candidate to win the starting quarterback job this fall. The Hilinskis also worked with Sports Illustrated to produce a documentary on what happened to their son. Excerpts from the documentary that were shown during the Hilinski’s Today Show segment revealed a few more details about Tyler’s death and the events that followed. The Hilinskis said Huffman called them twice the day Tyler died. Tyler was the second of Mark and Kym’s three boys, who all played football. Their youngest son Ryan is a four-star quarterback who’s a senior at Orange Lutheran High. He has committed to play at South Carolina. Despite Tyler’s CTE diagnosis, the Hilinskis say they won’t prohibit Ryan from playing football, but that they did a lot of research before they came to that conclusion. In the end, Kym said she and Mark decided to let Ryan, 17, make his own decision on whether to continue with football. Ryan Hilinski said his brother’s brain-damage diagnosis made him worry he may suffer what his brother went through but added that he’s still committed to playing football. “I think Tyler would want me to do the same thing. I don’t think he’d want me to stop,” Ryan Hilinski said in the Sports Illustrated documentary. To honor Tyler’s memory and help raise awareness for mental-health issues, the Hilinskis have founded a non-profit foundation called Hilinski’s Hope. Since the foundation was incorporated as a nonprofit in April, it has raised a significant amount of money to help student-athletes with their mental health, Kym said. Kym referenced the recent string of celebrity deaths by suicide — celebrity chef Anthony Bourdain and fashion designer Kate Spade died of suicide within days of each other this month — as yet another reason there’s a need to continue the dialogue about mental-health awareness and suicide prevention. WSU said in the statement that it has always required a mental-health screening for incoming student-athletes as part of the pre-participation examination. The school said since Hilinski’s death it has added a second formal mental-health screening for all members of the football team and meetings with all varsity athletes to help identify individuals who might be at risk for mental-health issues. The Cougars have also added a full-time clinical psychologist to the athletic department’s health and wellness staff. WSU provides free access to a proactive mental health intervention training for the entire WSU student body. Leach said the Cougars already take precautions to avoid exposing their quarterbacks to unnecessary hits. For the WSU football coach, Tyler’s CTE diagnosis raises as many questions as it seems to answer.